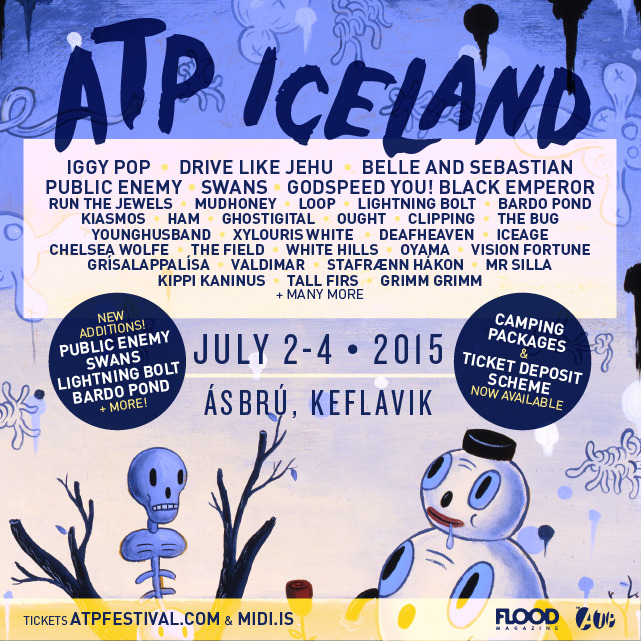 ATP is extremely proud to present the 3rd edition of ATP Iceland at the Ásbrú former Nato Base in Keflavík, to be held from July 2nd-4th 2015. Full information can be found at the event page. Price: £86 + £5.50 booking fee per person. Price: £110 + £6.50 booking fee per person. Price: £24 + £2 booking fee per person. Price: £20 + £1.50 booking fee per person. No physical tickets will be posted out - all customers will gain entry at the event by having their 4-digit or 5-digit ATP Store order number checked off against their name. Please make a note of this, and bring along with some personal ID (credit card or drivers license etc) to check-in with. If you have any questions or issues with your booking; please email us at feedback@atpfestival.com, quoting your 4 or 5-digit ATP Store order number.